NECA has released new photos of the final packaging for Aliens Series 13. 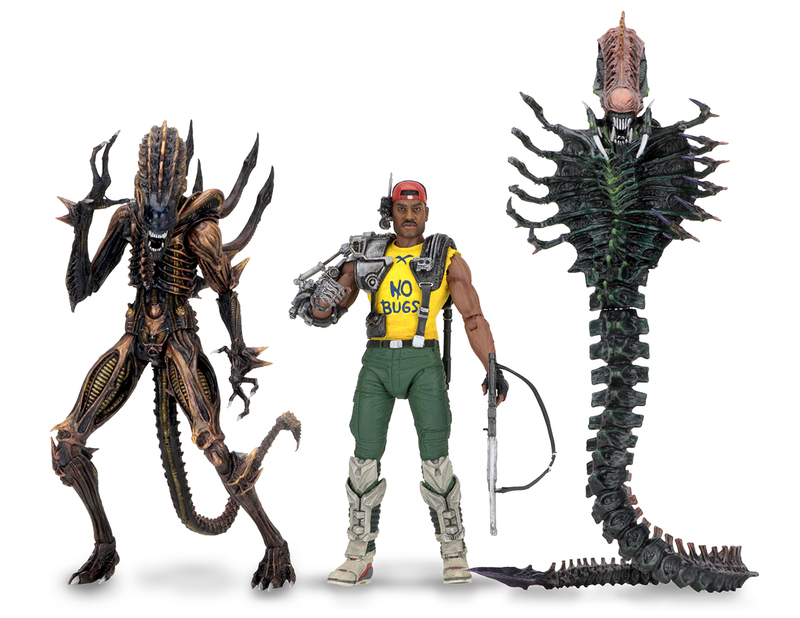 Shipping next month, this homage to the Kenner Expanded Universe Aliens of the early 1990s includes Space Marine Sgt. Apone, Scorpion Alien and Snake Alien.